An old review today, I’ve many from before I began blogging and it’s always worth revisiting some older books 🙂 I wrote this one back in 2012…seems ages ago. Caitlyn is a TV news reporter hoping to build up her career. 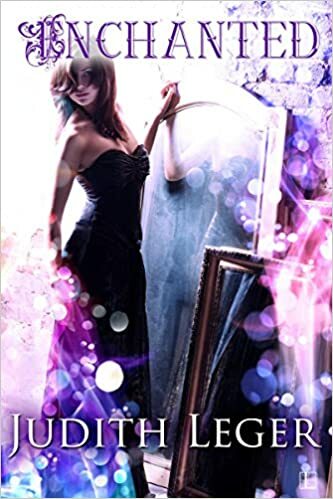 Magic isn’t real she believes so when she’s offered the chance to stay at the home of star illusionist Shay Evers she jumps at the chance to see him in a different environment convinced she’ll be able to pick up where he’s faking it and expose him. However she hadn’t factored in how she would feel about her growing attraction to him. Shay has his own secrets from her, he’s in love with her and there’s just two weeks left to break a curse bringing her death – but she has to go home to another realm to solve it and believe that magic is real. Its a tough order for him and his mysterious friend Rhys. As the story unfolds secrets become unravelled yet sometimes they just lead to even more confusion. Caitlyn faces danger from sources anxious to ensure she doesn’t break the curse. I enjoyed this book, it will appeal to adults and teens alike with its blend of magic and romance. Its fits well within the paranormal romance genre having a second “realm” where magic is normal linked to the conventional world. Most of the action takes place here in this world but we see enchanting glimpses of the other realm throughout the book. Its written in 3rd person POV and easy to follow. The descriptions of the magical enchanted events are simply beautiful and I could visualise the places so well. Caitlyns dresses especially were simply breathtaking in the way the were verbally drawn. The characters were well described visually but I seemed unable to fully empathise with them – I’m not sure why, maybe its just because I could “see” them but I couldn’t really understand them – we didn’t get enough about them as people, their hopes, fears, emotions etc. Shay appears as a lovely, caring, generous character, easy to fall in love with, but we don’t really learn much about the other characters, his friend Rhys, Caitlyn – and as she’s a main character we need to know her in depth, and her friend Marcy. Given that they were such close friends there was little interaction between Caitlyn and Marcy in Wales, and when there were accidents I’d have expected more concern for each other rather than the “oh gosh you could have died!” and then going off to do something unnecessary. If it was my friend I’d have wanted to be with them constantly. The book ticks all my usual boxes for a five star, its fantasy/paranormal romance, a decent length at 210 pages, well edited and pretty error free, good plots and dramatic events and a decent price at £3.24. There’s a good mix of both text and dialogue to keep it interesting. If only I could have taken more to the characters and really cared about what happened to them I’d have given it five stars but somehow I felt too detached from them to get really involved. Maybe a bit more about them personally would have made it more lifelike for me – I have to feel “part” of the book to really enjoy and give five stars. This one gets four stars for the reasons I’ve written. I feel a bit bad for that as clearly the author has taken a lot of time and trouble over this book, and I’m sure other people will rate it higher.